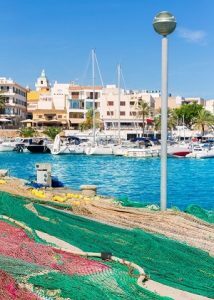 The port of Cala Ratjada (Ratjada Cove) in Capedepera, Spain is preparing to host the Cap de Setmana del Peix Fresco (The celebration of fresh fish week) on the 13th, 14th and 15th of October. 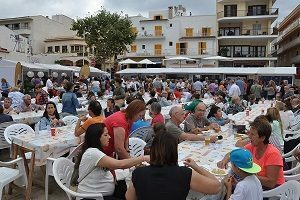 The festivities during these three days include a variety of activities involving the promotion of fresh fish in Majorca and include the popular XVI Mostra de la Llampuga (Mahi Mahi Fair) on Sunday the 15th. Hotels Viva will be present at one of the fair´s 21 food stalls, show-casing their creativity with a special Mahi Mahi recipe. If you visit Majorca in October, be sure to take part in this gastronomic experience and enjoy the countless ways this delicious fresh fish from Majorca can be prepared, while immersing yourself in the Mediterranean marine life at Cala Ratjada. This year marks a total of 16 years that the Cala Ratjada wharf and its bars, restaurants and hotels have offered visitors some of the best Mahi Mahi recipes on the island. The fair, organized by the city of Capdepera began as an initiative by the fishermen to introduce this fabulous fish to consumers. Although their goals were met some time ago, they continue with this tradition each year to promote this quality fresh fish and share the beauty of Majorca and all that it has to offer during the Autumn season. The city expects approximately 10,000 visitors for this Fair. “Last year, 2,000 kilos of Mahi Mahi (also known as dolphin fish) were prepared with an average of 100 kilos per food stall. We expect this year´s numbers to be the same, calculating the preparation of about 20,000 portions,” states the city council. Mahi Mahi is a popular blue fish in the Balearic Islands and serves as the main dish in many traditional seafood recipes. If you visit this special fish fair on the 15th of October, you will have the opportunity to savour some of these special dishes such as the one prepared by Hotels Viva this year called “Causa" with marinated Mahi Mahi, guacamole and a piquillo pepper sauce, a dish that is sure to please the palate. The hotel staff at Vanity Suite and Viva Cala Mesquida Resort will be ready to greet you at the Hotels Viva stall and invite you to savour this delicious dish created by Torsten Kronke, the Chef at Cala Mesquida: “I have been preparing a different dish with Mahi Mahi every year since 2004 and this time, I have create a recipe with a Peruvian flair,” explains Kronke. In addition to the Llampuga Fair, Cala Ratjada offers other activities throughout the weekend. On Friday, the Nit de Tapes takes place at 8pm and involves a tapas contest and music. On Saturday, there is a marine-themed outdoor dance party called “Verbena Marinera” from 8pm until 3am where you will enjoy paella prepared by the fisherman, a variety of deserts and music by a disc-jockey. This fabulous weekend dedicated to fresh fish in Majorca ends on Sunday at 10pm with a spectacular fireworks display, until its return next year with new and innovative Mahi Mahi delights!